Crystal began her career at the Aveda Institute of Cosmetology of San Antonio in 2004 and has since continued her training to Aveda’s highest level of education. She then discovered Davines and fell in love with the quality of their products. Crystal opened BOHO Austin to exclusively offer Davines to her clients and to provide exceptional service with the highest-end products available. 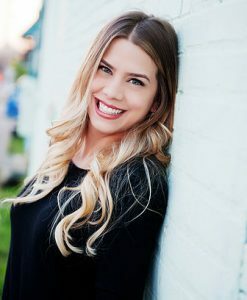 As a Master Colorist, she employs her knowledge and passion for color theory while serving a clientele of Austin’s most prominent residents. When it comes to your appearance, Crystal understands that the way you look has a lot to do with the way you feel. Your very identity is represented first and foremost by your physical appearance; something she takes very seriously. Her talent is revealed everyday as she brings out the beauty within her clients. Professionalism is a combination of the ability to perform, good character, and unrelenting passion. These are the 3 pillars of Crystal’s business and the virtues that her clients can rely on.